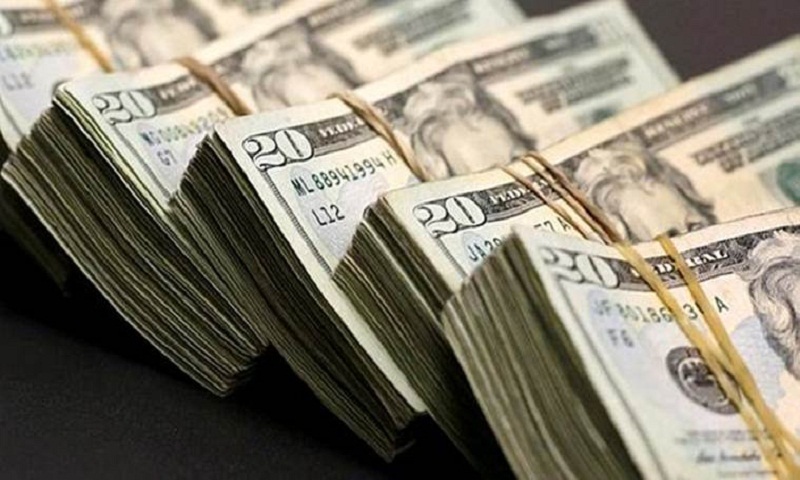 The dollar rose to a one-week high against a basket of major currencies on Thursday, after minutes of the Federal Reserve’s January meeting showed policymakers were more confident of the need to keep raising interest rates. The dollar index edged up 0.1 percent to 90.099. Earlier, it climbed to 90.166, the highest level since Feb. 13. That lifted it about 2.2 percent from a three-year low near 88.25 plumbed last week. A more upbeat take on inflation in the minutes of the Fed’s Jan. 30-31 policy meeting bolstered expectations for rate hikes. US short-term interest-rate futures continued to reflect firm expectations that the Fed will raise rates three times this year. The minutes also showed that voting members as well as the wider group of policymakers had upgraded their forecasts for the economic outlook since December. Market participants probably interpreted the Fed minutes as leaving open the possibility that the central bank could raise interest rates four times this year, said Hirofumi Suzuki, an economist for Sumitomo Mitsui Banking Corporation (SMBC) in Singapore. “A March rate hike is probably a done deal, and there seems to be an upgrade of the views on the economic outlook, so I can understand how market participants would think that there is a chance that the pace of rate hikes could increase to four times this year,” Suzuki said. “But personally, I have doubts as to whether that’s the Fed’s true intent,” Suzuki said, adding that chairman Jerome Powell’s Feb. 28 congressional testimony on monetary policy would be a key near-term focus. Both US bond yields and the dollar rose after the Fed minutes, with the US 10-year Treasury yield rising to as high as 2.957 percent on Wednesday, the highest in four years. The dollar, however, lost ground against the yen, falling 0.4 percent to 107.36 yen. The Japanese currency gained broadly as speculation of a faster pace of US rate hikes soured investors’ risk appetites and dented equities. The yen, which is supported by Japan’s current account surplus, is a traditional safe haven currency and tends to attract demand during times of uncertainty or waning risk appetite. The euro hit a low of 131.575 yen, its weakest level since Nov. 23, and was last down 0.5 percent at 131.79 yen. Against the dollar, the euro touched its lowest level since Feb. 12 at $1.2265 earlier on Thursday, and was last steady on the day at $1.2277. Political uncertainty ahead of Italy’s national election on March 4 is likely to weigh on the euro in the near-term, said Roy Teo, investment strategist for LGT Bank in Singapore. A recent widening in the risk reversal spreads for euro/dollar options, as well as moves in yield spreads between Italian and German government bonds, show signs of investor caution ahead of the Italian election, Teo said. “As we head towards March 4, I think there’s more downside than upside risk in euro/dollar,” he added. Opinion polls suggest that Italy’s general election will result in a hung parliament.